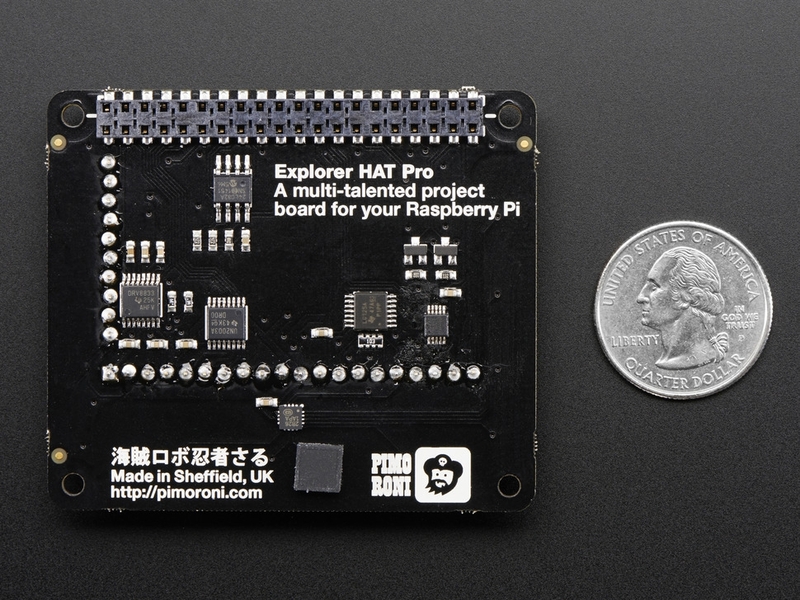 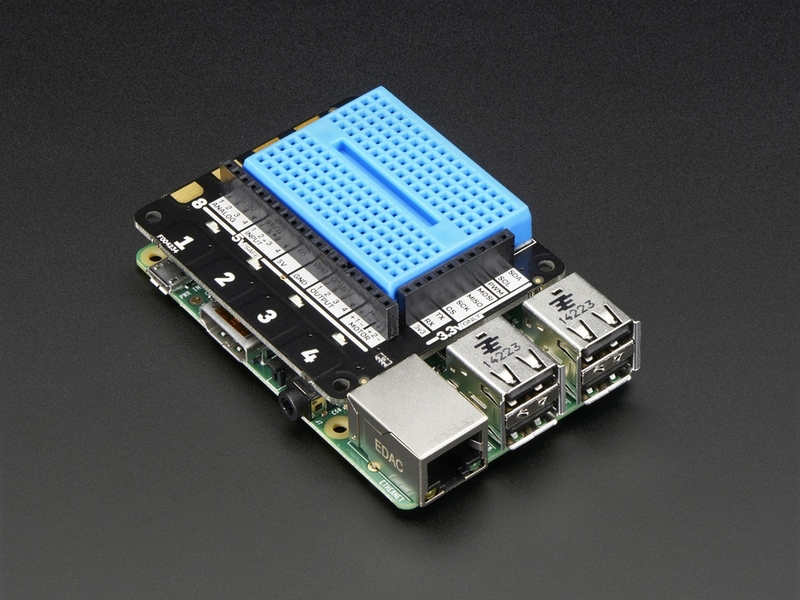 he Explorer HAT is a terrific prototyping side-kick for your Raspberry Pi 2, B+, or A+! 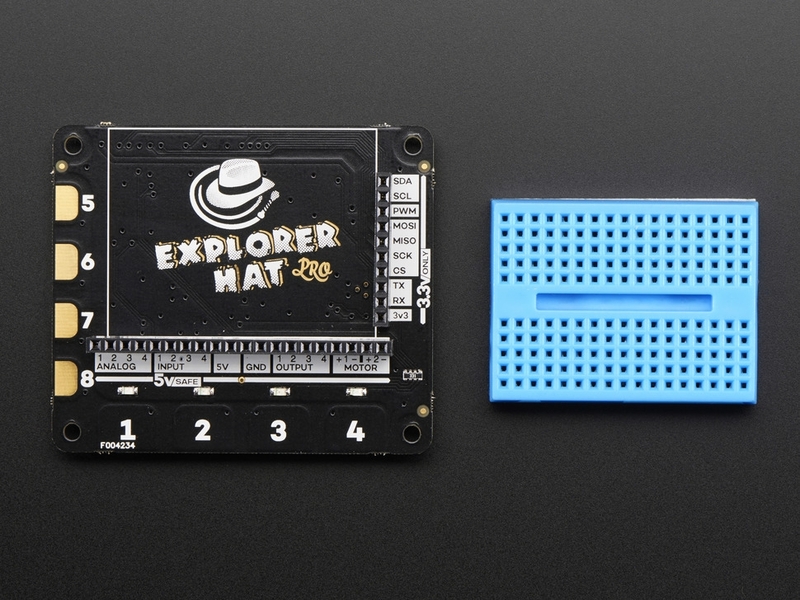 And head on over to Pimoroni's GitHub to find a Python library, examples, documentation, and a brief introduction to the Explorer HAT! 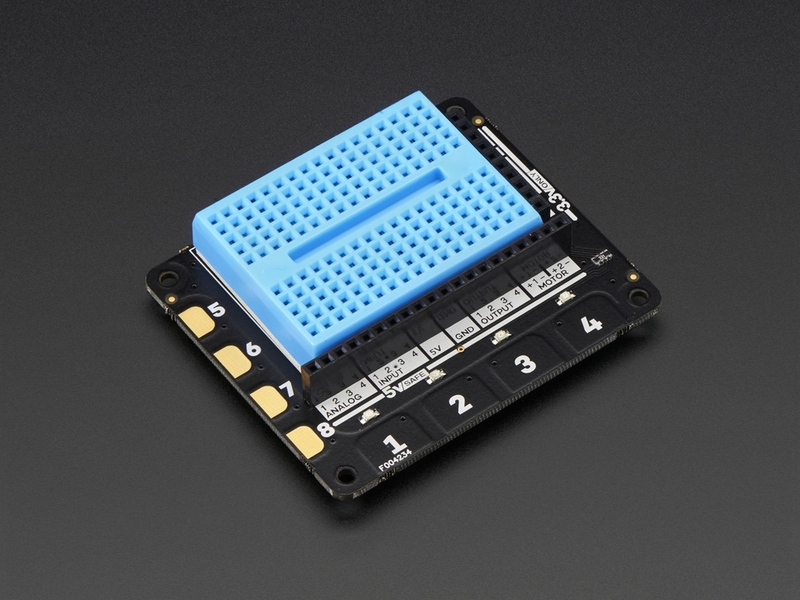 Dimensions (w/o mini breadboard): 65mm x 56mm x 13mm / 2.6" x 2.2" x 0.5"